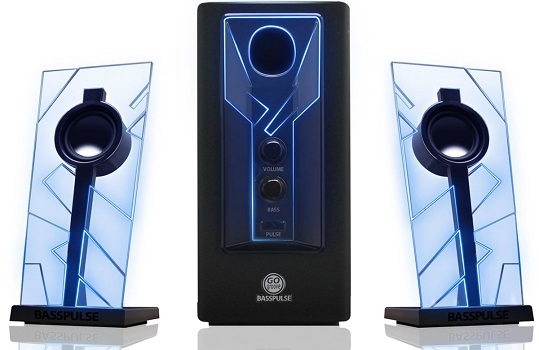 Good computer speakers provide a more immersive user experience and just make your entire computer sound better. 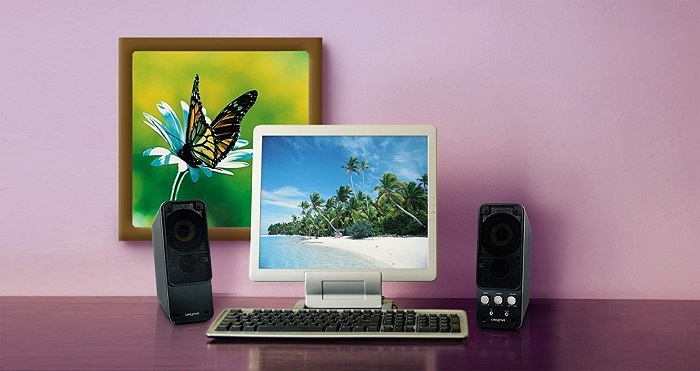 So if you like to enjoy the benefits mentioned above, and looking for the best computer speaker, the list below will simplify your search. 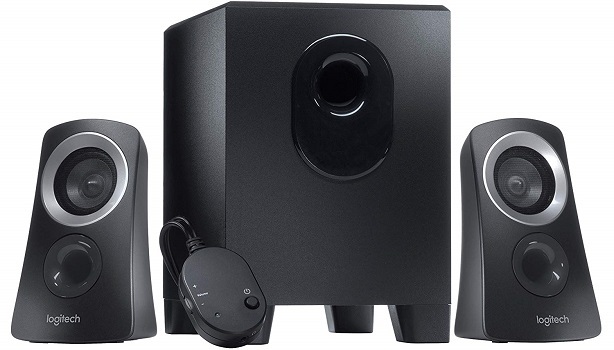 Cyber Acoustics CA-3602FFP is a 2.1 speaker system with clear audio and powerful bass performance. The system delivers 62 watts peak power and 30 watts RMS for powerful room filling sound. Ideal for music, movies, multimedia Pcs, Macs, laptops and gaming systems. 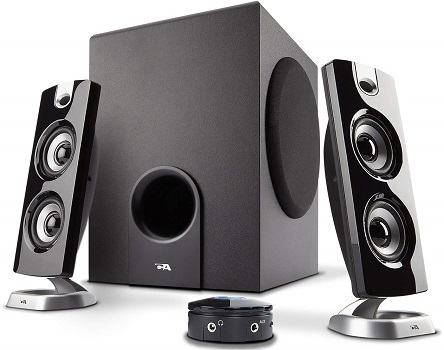 • Deep, rich bass yet crispy through the audio range. • Satellite speaker separation is not bad with suitably long wires. • Control pod has a headphone out, AUX port, on/off switch and volume/bass knobs. • The Bass is shaky as you go beyond 75% volume. 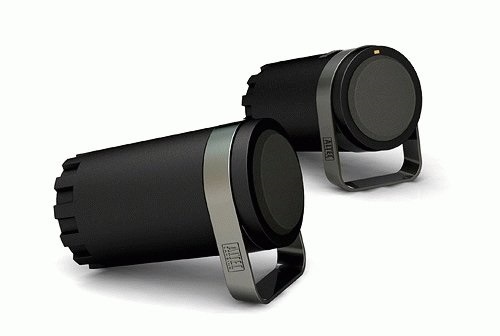 • The speakers are top heavy and very easy to knock over. • Driven by an acoustically optimized internal power supply, this subwoofer speaker system delivers 62 watts peak power and 30 watts RMS. 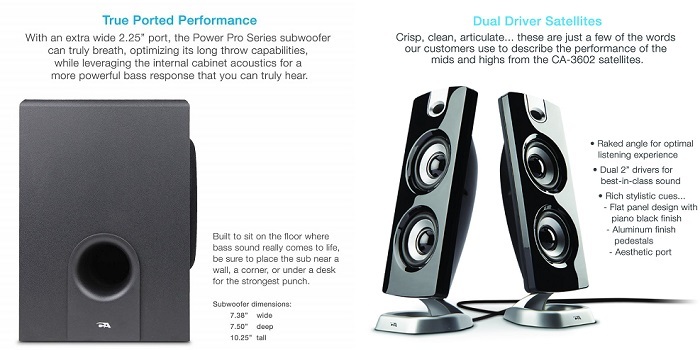 With this kind of power you can expect amazing sound at any volume level, filling any large room in the home or office. • The convenient control pod gives you full control over your sound system. Adjust the volume, turn it on and off, or use the headphone output jack for those private listening moments. With easy access to the 3.5mm aux input, you can quickly connect your cell phone, tablet, MP3 player, or gaming system to really pump up the sound. Plus bass volume control allows you to fine tune the richness of the sound just the way you like it. • The ported 5.25” subwoofer delivers some of the deepest bass available, powerful for any audio experience, along with the satellites using twin 2” drivers deliver crisp, clean, optimized sound. Logitech Z313 comes with convenient control pod makes it easy to control volume and even plug in your headphones while the 25 watts (RMS) of power fills your room with big, balanced sound. • Lots of low-end/bass power and clarity. • Sound quality and clarity is impressive. • Wiring may look untidy. • No bass volume control. • Control module has nothing to easily keep it in place. 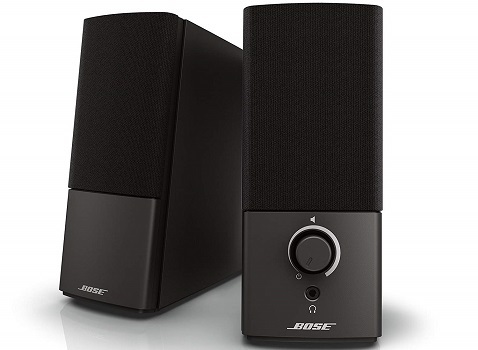 Bose Companion 2 Series III comes with unique digital signal processing produces clear, full sound at any volume. Also, you'll notice deeper low-end performance and more detailed sound, thanks to the speakers' ported cabinet design. • The volume knob also turns very solidly. • Very balanced sound with slight bass emphasis. • Doesn`t distort even at max volume for any type of music. 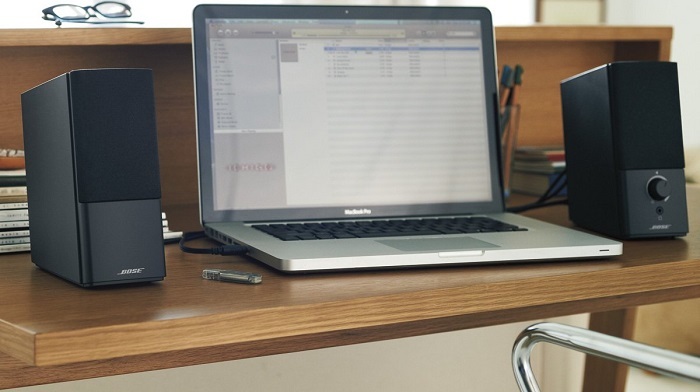 Altec Lansing BXR1220 delivers clear highs and lows while helping to keep your workspace free from clutter. It connect easily to any computer -- just plug them into a USB port and you're ready to go. • Punchy bass with balanced audio. • Good clarity and instrument placement. GOgroove BassPULSE is equipped with 2.1 audio that are perfect for any type of audio. It also designed with bold LED lights and a modern look. • Can be connected wirelessly. • The "pulsing" lights are little more than a flicker. • Bass can be boomy and sound similar across genres of music.